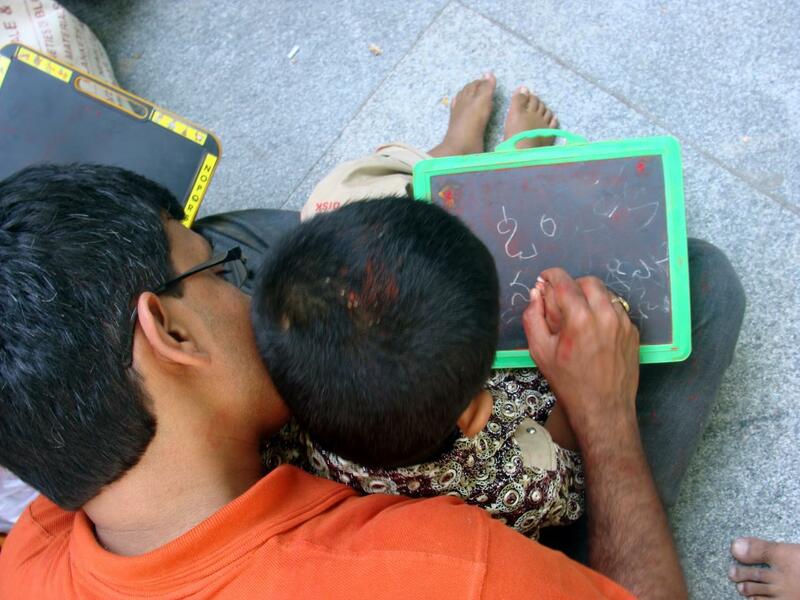 Home/Blog/The legacy of Education: Will it continue in Pakistan? The new research concludes that learning is an innate process which begins even in the wombs. The children are born little scientists already exploring the world around them (Estela Rennervia). The children learn and behave like scientists making repeated actions guess repeated results. The process may seem irritable to an adult, but it is the way that children learn. Children learn and invent things with an innate drive for mastery (Jack Shonkoff). We all might have admired the quote above from Aristotle but never think of this quote in the context of the early development of a child. In earlier years a child cannot thrive without a supportive environment (Charles Nelson). A loving and enriching environment helps children to become productive adults for society. The environment consists of the people around a child and behaviors displayed before a child make or disintegrate the frame in the brain of a child. Man cannot live alone; hence the need for learning arises. When the societies grew larger and complex, the way of transmitting the knowledge from person to person changed, and the civilizations realized the need for some ways to accumulate, record and preserved the culture. By about 3100 BC, with the advent of governments, formal religions, and trade, the art or invention of writing came into being. This could be considered as the first formal course of learning through the formal system. The concept of the school goes back to 1st century AD when Jews established elementary schools for their boys to learn reading, writing, and rudimentary mathematics along with first five books of the Old Testament, thus imparting religion through education to young minds (Guiseppe). In ancient Greece, the varied city-states had diverse education for their children, while Spartan child needs to be a soldier-citizen, he got an education in soldiering arts, on the other hand; an Athens child needs to be citizen well trained in arts of war and peace. Under Greece influence, ancient Rome adopted almost the similar course of education and training for its children as of Greeks. The conquest of Greece by Rome around 146 BC, gave way to Greece arts to Latium. 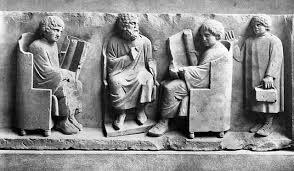 While in the beginning, the Roman education intended to produce orators for Senate, the fall of the Roman empire gave way to the rise of education in Europe. So much so that by the end of 20th century, the most of the books in Europe were written in Latin, and it was the language of education, commerce, and public service for thousand years (Guiseppe). The invasion of Germanic tribes to the West virtually destroyed Roman and Greece cultures from the West. It was the medieval church that kept the lamp of learning burning but at low. Western Europe during the Middle Ages produced members of clergy and clerks. 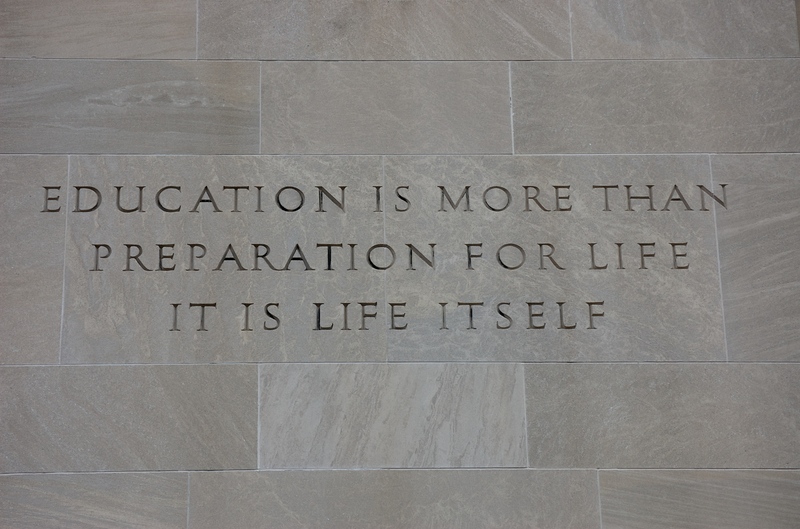 There was no attention towards preparing students for life but life beyond the grave. The system did not observe any difference between a child and an adult. Only in the 18th century, we find the traces of recognition of childhood. The end of the Middle Ages saw the rise of the universities. The curriculum consisted of subjects commonly known as liberal arts. These seven liberal arts were further divided into two groups. The first group consisted of grammar, rhetoric, and logic; the second group consisted of mathematics, geometry, astronomy, and music. It was again imitation of Greeks, which the Middle Ages scholars adapted to their cultures. The knowledge was considered an authoritative body of revealed truth. To test, hypothesize, question, theorize and discovery was beyond the limits of knowledge or education. The education was sugared with religion, and hence everyone has to interpret and expound the accepted religious doctrines. Hence we see Middle Age scholars debating on the number of angels that could stand on the head of a pin, rather than questioning the existence of angels. This era, however, is credited with the education of women, and we see girls from noble families being studying at Notre Dame de Paris. So we again credit medieval education with the end of barbarism. A sharp distinction in the careers of poor and rich children was present. While the noble families sent their children for chivalric education, the poor were to learn a trade and clerical jobs going through the process of apprenticeship in the shop of a craftsman (Guiseppe). The Renaissance was nothing other than revolt from the Middle Ages and once again return to the ideals of literature taught during ancient Greece period. Once again, the aim of education was sugar-coated to develop a man’s physical, spiritual and intellectual powers to make him a useful citizen of the state. The renaissance added physical activities to the Middle Ages liberal arts. The change of goals of education brought into new educational methodology and education was no more a matter imparted through hitting on the head but a friendly and fun through ‘Happy Houses’ where children were taught not only the seven liberal arts but also Greek and Roman literature. Once again, the Happy Houses were not for poor classes. It was not earlier than reformation in the 16th century when the demarcation between a wealthy and poor child shattered in the elementary vernacular schools first started in Germany. Protestants’emphasis on universal education was going to bring far-reaching effects to the Western world. The 17th and 18th-century schools remained stagnant where barely professional teachers were trying to impart education through cruel punishments and harsh discipline. 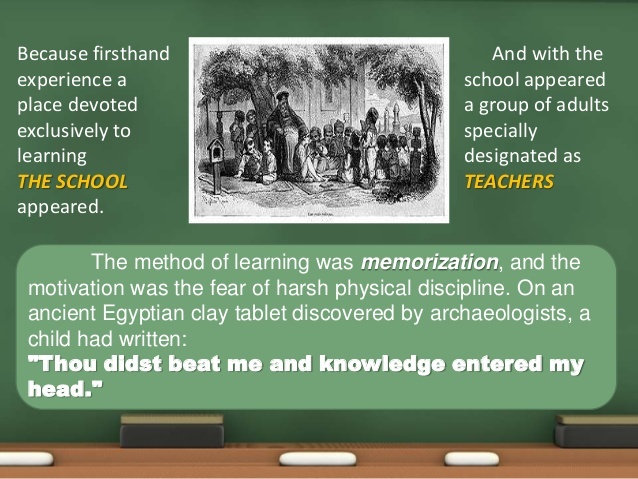 The learning was consist of memorizing facts, words, and sentences which the children barely understand. Latin was the language of education as it was considered the only language that can train the brain. Protestants and Catholics were on the same page for keeping reasoning, skepticism, and inquiry out from the schools. However, the scholars bearing the brunt of Protestants and Catholic churches did not give up. Their adamant behavior of these scholars paved the way for the revolution in education during the 20th century. The first traces of any effort on logical education is seen in the 17th century when John Amos Comenius insisted that for effective education, the nature of a child should be taken into account and children should not be treated as miniature adults. His famous textbook Orbis Pictus (The World in Pictures) remained the only textbook with an illustration of things for children for 200 years. From the 17th century onward we see different scholars presenting different educational theories. One of these scholars was English philosopher John Locke who gave impetus to the theory of ‘tub lay rasa,’ which means that children mind at birth is a blank slate without any innate knowledge. He furthers his argument by adding that at birth children, however, had some power of faculties; perceiving, discriminating, comparing, thinking and recalling and the function of schooling is to train these faculties. Despite the fact Locke theory was dismissed in the 20th century, it lasted a significant impact on education by emphasizing the need for firsthand experience rather than memorizing the books. This impact resulted in the inculcation of pictures, models and field trips in the school system. After Locke, the most significant scholar is Jean-Jacques Rousseau who presented the theory that a child develops intellectually, emotionally and physically as a plant. He furthered his theory by adding that there was no need for a formal schooling system and added that the only aim of education should be a natural development of a children’s mind. He believed that a child did not need to learn science but to find out for himself. During the period, the New England Primer was another book used up to the 19th century which was America’s contribution to education and the book was aimed at teaching children reading and religion, hence when a child learned alphabet a, also learned “In Adam’s fall, we sinned all.” The books used in English colonies were heavily sugar-coated with religion. One of the products of the period was the law of the “Old Deluder Satan Act” which was passed in 1647 to ensure that every child learns to read. It was a deliberate attempt to foil Satan’s attempts to keep the men away from reading so that they cannot read the Scriptures. The law made it necessary for all towns to have elementary and grammar schools according to the population of the cities. The ultimate goal of these schools was to prepare children to serve the religious ends. The spirit of commercialization soon took over the religious education system and with the increased emphasis on everyday life, Benjamin Franklin’s secondary schools sprang up to compete with the religious schools in colonies where education was closer to the everyday needs of a learner including history, geography, accounts, algebra, geometry and modern languages. By the end of the 19th century, most of the schools in England were free and compulsory. By the end of the 19th century, there were secondary schools for women and very few coeducation schools (Hussain, 2012). During the period Johann Heinrich Pestalozzi’s school in Switzerland got international attention where people saw children running, jumping, and playing different games. Indeed Pestalozzi was following the footsteps of Rousseau. The idea was well developed by Friedrich Wilhelm Froebel who paved the way for the popular Kindergarten (garden for children) system for small children. Another development during the late 19th century was the education of mentally retarded children by the Italian physician Maria Montessori which helped these children to read and write like normal children. The whole history of education could be concluded in the words that the educators of all ages took children as they thought children were or should be and no serious attempt was made to consider what children were. Our beloved country Pakistan is situated in the region which was popularly known as Indus Valley Civilization in prehistoric times. While an extensive list of invaders including Aryans, Persians, Greeks, Turks, and Arabs ruled the region for several thousand years. Today, we have Islam as the principal religion of the country which was introduced in 711 AD. Muslims ruled the region in 16th to the middle of the 18th century when the British took over the area from Muslims. The British remained a dominant power in the area up to the middle of the 20th century. Popularly the term education is defined as a formal process by which society deliberately transmits its accumulated knowledge, skills, customs and values from one generation to another (Kumar). The deliberate transmission resulted in the amalgamation of religion, customs, and values. Every society through the ages tried to impart to the next generations whatever they think was right according to religion, customs, and norms of the area. The area to which Pakistan belongs was no exception. The traces of education in the region could be found back to 3rd century B.C. The sages and scholars impart religious and traditional education orally to their students at a secluded place away from the mainstream population. The formal education system in South East Asia could be traced back to the establishment of Gurukulas (the residential schools without the discrimination of social background) and Brahmacharya. The students were taught Veda and Hindu Scriptures that includes proper pronunciation of Vedas, grammar, logic, and science. The epic poems Mahabharata and Ramayana were also part of the syllabus (Kumar). During the first millennium Nalanda, Taxila (Takshila), Ujjain and Vikramshila were main learning centers which can be compared to modern day universities. In these universities, the student was taught Art, Architecture, Logic, Philosophy, and Grammar. Other subjects include Literature, Hinduism, Buddhism, Law, and Medicine. The dawn of the eleventh century brought a new perspective in education through the advent of Islam on the continent. Islam influenced the traditional education system of the region. The Muslim rulers introduced such institutions which impart religious knowledge to the students. During this era, Nizamuddin Auliya and Moinuddin Chisti were the prominent educators who established Islamic monasteries where students from as far as Bukhara and Afghanistan were also enrolled to learn humanities and science (Sen, 1988). The Muslims established elementary and secondary schools commonly known as maktabs and madrasas. The change in perspective resulted in the establishment of somewhat modern universities such as Delhi, Lucknow, and Allahabad. The era went through a new interaction between Islamic and Indian branches of knowledge such as theology, philosophy, religion, arts, architecture, mathematics, astronomy and medicine. Muslims established libraries and maktab schools where the primary education was reading, writing and reciting basic verses. A graduate from madrasa was able to apply for civil services and to hold the position of a judge (Kumar). While there are traces of indigenous education during the 18th century for every social class, with the establishment of a school with every mosque, temple or village. Interestingly, the Indians were not using printed books till the beginning of the 19th century. While in the western world especially in England Puritan merchants were contributing towards the formation of Gresham’s College in London, the Indian soil was void of such likes who can indeed contribute towards the scientific knowledge (Sabali). The end of the 19th century also resulted at the end of traditional education in the region with the British taking over the region in 1757. 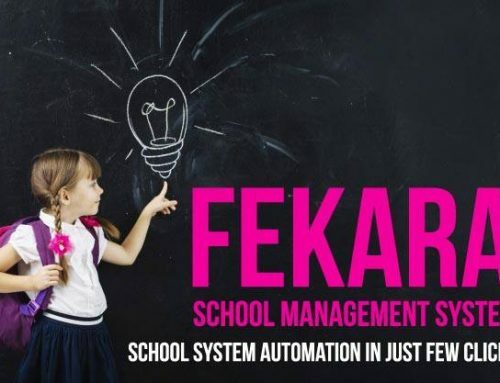 The current school management system in the region follows the western style and content which was recommended by Lord Macaulay in 1835. The British did not recognize the traditional system of education in the subcontinent, and arguably this resulted in the decline of the traditional system of education in the region. It is reportedly said that Gandhi while symbolizing the traditional education system with a beautiful tree argued that the British have destroyed the tree of education in the region and subcontinent is more illiterate than before. The education system introduced by the British put more emphasis on the learning of English language whereas learning of other languages such as Arabic, Sanskrit, and Persian was left to the individuals. Lord Macaulay’s efforts were focused on the introduction of Christianity and English language to produce such a generation of Indians which would only Indians in the color while their interests, ideas, morals, and intelligence would be English (Kumar). Sir William Jones founded several English schools and colleges. Missionaries from England follow the suit by establishing Wilson College, Christian College, and St John’s College. Lord Harding made the learning of English a need for the region by announcing that only the people with English knowledge would be eligible for government jobs. By the dawn of the twentieth century, while there was at least one state school in every district, the British opened at least 186 universities in the region by 1911. This number was doubled by the end of the third decade of the twentieth century when the number of universities was doubled, and enrollment of students was touching the figure of 145,000. Ironically, the widespread number of universities and students resulted in the shape of strong Indian nationalism. By the end of the 1920s, the student unions became the main source of the revival of Indian nationalism in the region despite the fact these students were taught the curriculum of Oxford and Cambridge with a stress on English literature and history of Europe (Kumar). The student strike at King Edward Medical College Lahore on academic discrimination between English and Indian people could be said the first resisting stone in the waters of the Raj (Chander, 1938). Later on ‘Charka Swaraj first and education after’ motto of Indian College Student Conference at Ahmedabad in 1912 the sign that Indian students were fully committed to getting freedom from British Raj. The British have been showing this kind of discrimination throughout their rule. In 1837, the British East India Company though replaced the Persian with local vernacular in different provinces, it conveniently allowed the northern regions of the Indian subcontinent to follow Urdu in Urdu script instead of Hindi in Devanagari script (MacLane, 1970). The contradictory language policy by the British in the northern regions resulted in the shape of Urdu-Hindi controversy which changed the course of the history of both India and Pakistan. The controversy eventually took the communal form and showed the seeds of drifts between the interests of Hindus and the Muslims (Brass, 1978). The nation achieved independence from the British Raj in August 1947. 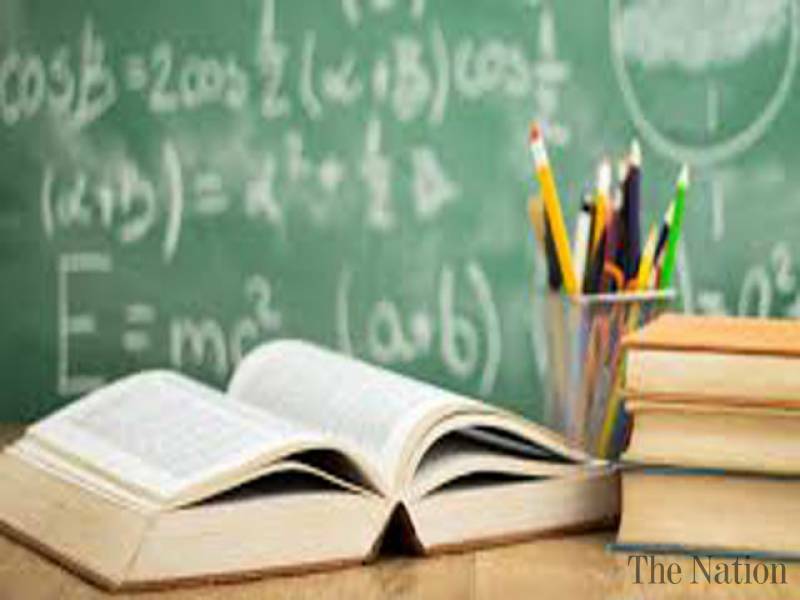 The area in the northern region of the subcontinent that became Pakistan was far behind in education despite the number of educational institutions established by the British. Almost all the progress made by the British in education left in the part of the subcontinent which later emerged as India. At the time of Independence, 85% of the population of this feeble country was illiterate. The rate of illiteracy was even greater in backward regions of the newly formed country like Baluchistan. The literacy rate for women in this area was virtually zero at the time of independence (Bengali, 1999). Around seven-decade down the road, the priority to the education of almost all Pakistan governments has never moved beyond rhetoric. After the First Education Conference in 1947, Pakistan has had authored twenty-two documents on education plans and programs, yet today, when we are celebrating our 69th birthday, the literacy rate in Pakistan had hardly crossed the 50% mark from 85 percent in 1947. These statistics show that Pakistan has made 35% progress in the education sector. Seven decades down the road, we seldom have remembered the words used by the great Quaid, and still struggling with the issues of ideology, the language of education, the class-based education system, religious education and much more. Pakistan has yet to conceive the meanings of value-based education which develop an individual of any gender in three aspects of life; physique, mentality, and character. While physique and mentality have their importance in a person’s life, the character is of the utmost importance as without character a body and a mind is nothing else than a menace. Education is the only tool to build character and failure in academic learning mean failure to nurture values and sensitivity to others and nature (Kumar). The failure to nurture values and sensitivity to others and nature has resulted in the shape of terrorism in our country. 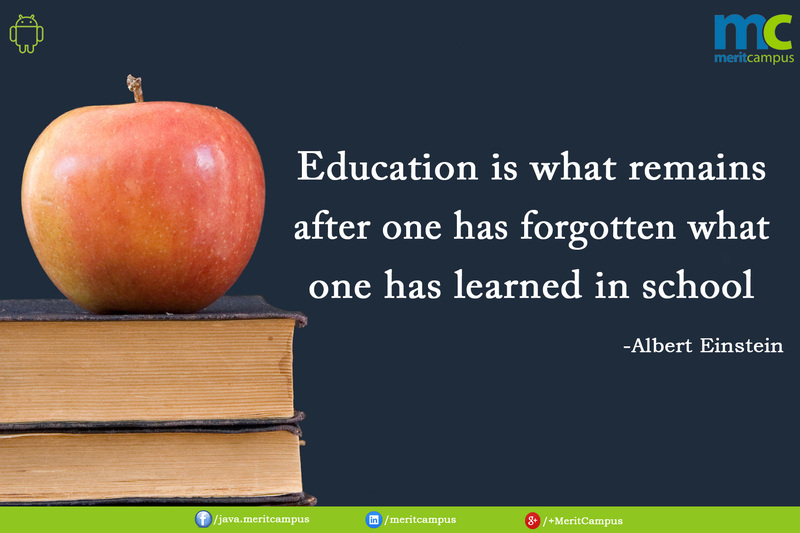 However, we are yet not willing to impart value based education to our children in Pakistan. To add this misery of the education sector in Pakistan, governments are used to allocate 2% of GDP on education which shows non-seriousness of Pakistani governments to improve this area. Last but not least at the conclusion, the writer finds that Pakistan is still finding a way to put as many as angles on the top of the pin through the amalgamation of rhetoric, religion, society and the political affiliations. Will the legacy of the Middle Ages education system continue in Pakistan? 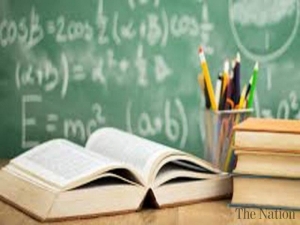 In our next article, we will discuss the issues in the education system of Pakistan and present our readers with logical solutions to these problems. Till then HAPPY INDEPENDENCE DAY! Pakistan ZINDABAD! MacLane, J. R. (1970). The political awakening in India. Prentice-Hall. Inc., Englewood Cliffs, New Jersey. p. 105. Prabodh Chander, Student Movement in India (Lahore: All India Students Federation Publications Department, 1938), p. v.
Sen, S.N. (1988), “Education in Ancient and Medieval India”, Indian Journal of History of Science, 23#1 pp: 1-32, Indian National Science Academy.